Graphical Facilitation | Institut pro regionální rozvoj, o.p.s. Between 30th October and 8th November 2015, a youth seminar “Graphical Facilitation – a training course for youth workers” was held in Slovakia in Radzovce-Obručná. 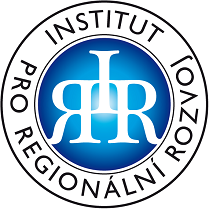 The Institute for Regional Development was one of the participating institutions. The organizing institution of this seminar was Občiansky Spolok. This organization focuses on the development of social competences, the development, preservation and promotion of the interests, culture and leisure activities of the Hungarian minority in the south of Slovakia through events aimed at promoting a better understanding of cultural diversity. During the few days, the seminar unveiled not only the topic of “graphic facilitation,” but it also focused on improving visual literacy by learning new ways and techniques of graphical simplification to support the group learning process. Emphasis was given to the development of visual vocabulary, the use of tools such as mind mapping in speaking, brainstorming, analysis, dialogue, concluding and finding solutions, as well as acquiring the skills associated with teamwork. 10 non-profit organizations from 10 European countries, including Bulgaria (International Center for Development of Education and Training), Czech Republic (IRR), France (Cooperative Française de la Coopération Internationale), Italy (GreenRope), Lithuania (Neribota Macedonia), Macedonia (VCS Skopje), Germany (Mostar Friedensprojekt eV), Poland (Inicjatyw Europejskich Subcarpathia), Romania (Asociatia Young Europe Society) and Slovakia (Občiansky spolok).